Check your wheel alignment: Over the winter months, roads are usually bad at their best. With that come ruts, ice chunks and other things that can throw off your car’s alignment. If your car is pulling to one side constantly, or doesn’t drive straight ahead when your steering wheel is centred, it’s time to visit your mechanic. A well aligned car saved your tires from wearing your prematurely, and can save you hundreds of dollars. Your tires are your first line of defence, no matter what Mother Nature throws at you. 2. Check your tire tread: Tire tread is important. Without it, your wheels aren’t gripping the road. Make sure to check the tread with each season that passes. Not sure how to do it? Stop by your mechanic and they can check it for you, and show you how. 3. Check your brakes: Spring time means road trip time. And with that, comes a great chance to check the remaining life in your brakes. One surefire sign you need new brakes is if the brake light is on in your instrument cluster. Also, if your braking is noisy or rough, it might be time to get new brake pads. If you have some experience, you can also look between the spokes of your wheels and see what’s left on the pad. If that doesn’t work, once again, stop by your service station and have them take a look for you. 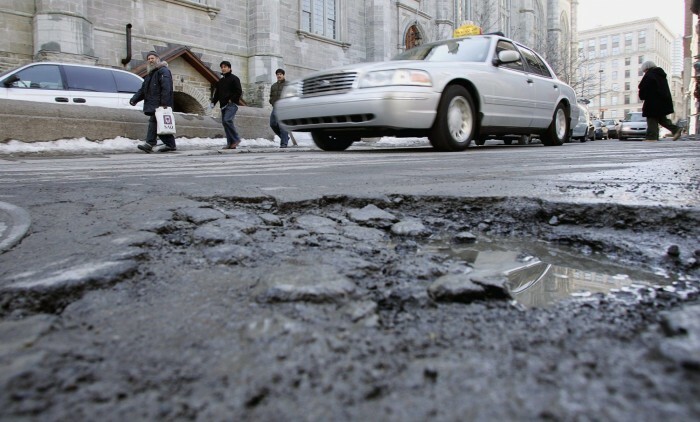 Spring isn’t all roses and tulips…it’s pothole season! 4. Check your coolant: Spring also means warmer weather. Warmer weather means your vehicle can get hot more quickly. If you’ve gone the winter without checking on the coolant level, pop the hood and make sure it’s at the right level. Make sure you do this before you drive somewhere, as opening the cap when the vehicle has recently been driven can be dangerous. 5. Spring Cleaning: Take a warm afternoon and get rid of the clutter that accumulates in a car during the winter months. Throw out the candy bar wrappers, and the big pop cups, and when that’s all gone, swing by your local car wash and get the salt off. 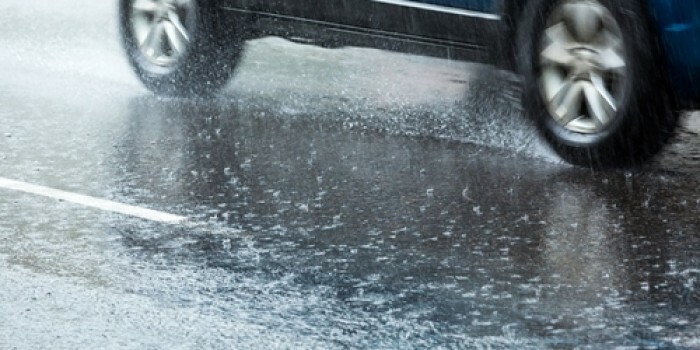 Spring is springing, and with these tips, your car will enjoy the thaw.